THE money came for Addictive Nature and his backers were duly rewarded. The two-year-old son of Savabeel travelled on pace in a furiously run race, before outstaying the lot to win comfortably by one and a half lengths. The $775,000 colt showed signs of youth and is clearly destined for greater things after the manner of this victory, with the close relation to Group 2 winner Savvy Nature bred to get over further ground than this 1100m trip. Bjorn Baker has proven himself to be an astute producer of two-year-old talent, with Magic Millions 2YO Classic winner Unencumbered and Group 2 BRC Champagne Classic winner Winning Rupert among his list of success stories. 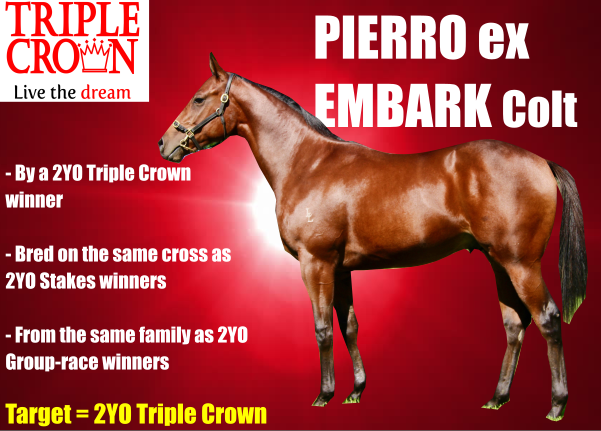 This is your fantastic opportunity to join in the success by racing an outstanding colt by the Champion First-Season Sire elect PIERRO. 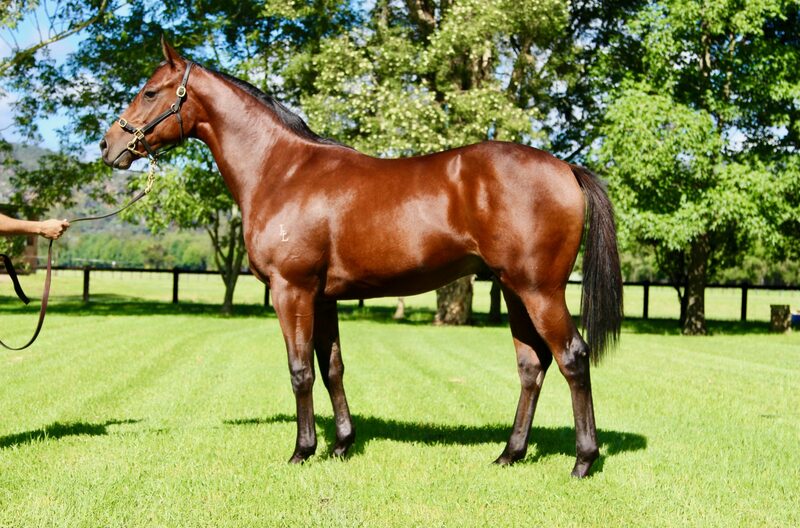 An athletic type, the colt is out of Stakes placed mare EMBARK, who is a half-sister to Group 2 VRC Sires Produce runner-up CARNERO and Stakes placed sprinter GRATIS. The family is stacked with 2YO Stakes winners, including PLOVERSET, WOODBOROUGH, NOBLE MARK, ADAGIETTO & CAPTIVA, while this colt is bred on the same cross as EXOSPHERE, BENFICA and BOUNDING – all Stakes winners at two – as well as PIERRO’s top two performers TULIP and PIERATA!